When Katherine of Aragon is brought to the Tudor court as a young bride, the oldest princess, Margaret, takes her measure. With one look, each knows the other for a rival, an ally, a pawn, destined – with Margaret’s younger sister Mary – to a sisterhood unique in all the world. The three sisters will become the queens of England, Scotland and France. United by family loyalties and affections, the three queens find themselves set against each other. Katherine commands an army against Margaret and kills her husband James IV of Scotland. But Margaret’s boy becomes heir to the Tudor throne when Katherine loses her son. Mary steals the widowed Margaret’s proposed husband, but when Mary is widowed it is her secret marriage for love that is the envy of the others. As they experience betrayals, dangers, loss and passion, the three sisters find that the only constant in their perilous lives is their special bond, more powerful than any man, even a king. When an author decides to write in first person it really can be a slippery slope for their readers between sympathizing and loathing said character. This book is written from Margaret Tudor's point of view. It follows her from childhood, when she was a Tudor princess, to seeing her son grown and on the thrown. 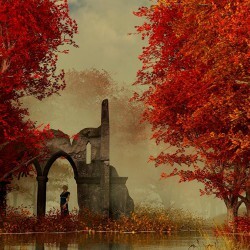 Unfortunately, there is not much known about her but there is a lot known about the events of those times so Philippa tries to fill in the blanks. Historically, she was quite a woman of her times. She was handed over to her older husband, the King of Scotland, at age 13 and was forced in the middle of the conflict between England and Scotland many times. 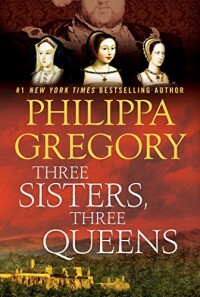 This is also a story of the relationship between the three sisters, Katherine of Aragon, Mary, Queen of France (for a few weeks) and Margaret, Queen of Scots, all from Margaret's point of view. Although Margaret is a whiny, envious, materialistic character it is fascinating to read all the events that took place. The most prominent was when Katherine ordered King James killed and his body brought back to England to show off. She did not even let her sister-in-law have his body to bury. This was when it all began to fall apart for Margaret, so how she could even speak with her sister-in-law and brother again is beyond me, but apparently she did, even going to live with them for a time. I wish better records would have been kept back then about the women of the time, but since they were not, we get a book like this that can only guess what was going on in the heads of these women. It's a long book and you'll probably end up hating Margaret for a time, but if you love the Tudor era and would like a different perceptive of it, this is definitely a good book for that. 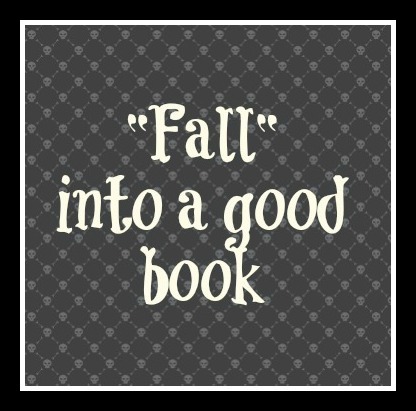 I am using this for "Fall into a good book," bingo square since a lot of it was set in the Autumn.